Kent Monkman (born 1965) is a CanadianFirst Nations artist of Cree and Irish ancestry. His works examine the way Indigenous American and Canadian history has been presented in art by 19th and 20th Century artists such as George Catlin and Paul Kane, and "constructs new stories through images that take into account the missing narratives and perspectives of Aboriginal peoples." 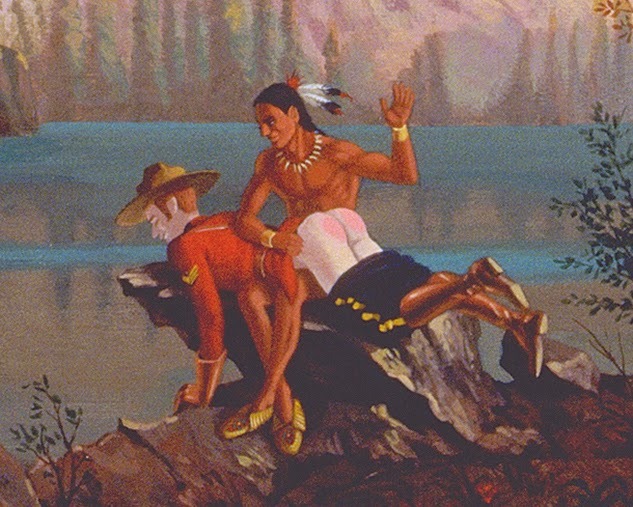 Most of his works have strong queer or gay male imagery and deal with sexuality and Christianity as they have been affected by colonialism in Canada and the United States. 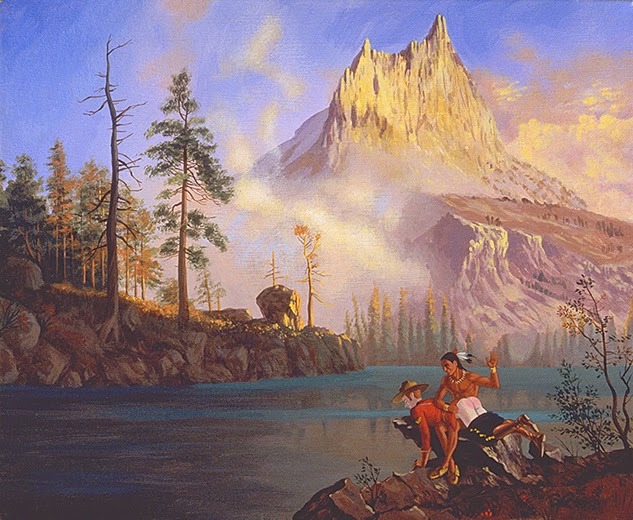 A recurring character in his paintings and videos is "Miss Chief Eagle Testickle", a drag queen alter-ego of Kent Monkman himself, who interacts with the other characters or draws attention to symbolism. He became interested with these issues of gender and queer or two-spiritIndigenous sexualities after discovering that George Catlin encountered Two-Spirit peoples in his travels and refused to include them in his paintings of "traditional" aboriginal life. Monkman currently lives and works in Toronto. Beautiful pic!! And the close-up is kinda funny.